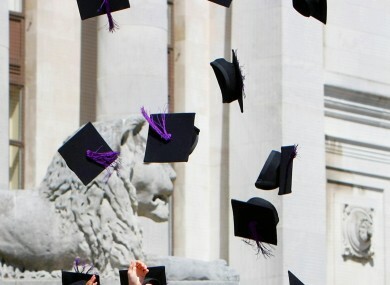 MOST EMPLOYERS ARE now seeking graduates with a 2:1 honours degree or higher and cite a lack of communication and writing skills in new recruits as being two of the “serious shortfalls” in graduates, according to a new survey. Gradireland, a graduate careers service, surveyed 79 leading employers including almost all of the major accounting and consulting companies in Ireland as well as well known brands such as Intel, Diageo, Marks and Spencer and Facebook. The survey found that 51.4 per cent of employers now insist that graduates they intake must expect to receive a 2.1 or higher when they graduate from university or college. Employers identified some “serious shortfalls” in soft skills among Irish graduates including a lack of communication skills (cited by 56.9 per cent of employers), as well as hard skills such as writing (44.3 per cent) and knowledge areas like mathematics (33.3 per cent). The most effective way of improving soft skills was overwhelmingly (81.9 per cent of employers) believed to be an internship or industrial placement. The survey also found that the majority of jobs continue to be found in the Dublin area whilst the lowest median salaries are found in Northern Ireland (€22,000) and Munster (€23,000). The survey also found that the most frequently cited area for future growth was in IT and technology industry with financial regulation and services expected to “bounce back”. Email “Majority of employers now want graduates with 2:1 degree or higher”. Feedback on “Majority of employers now want graduates with 2:1 degree or higher”.